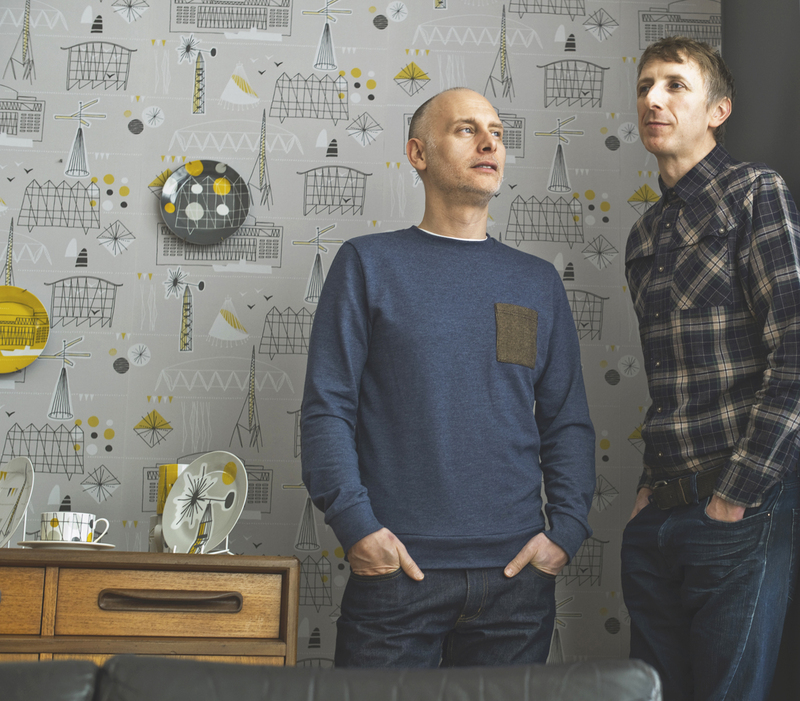 Launched in 2006 by London based designers, Keith Stephenson and Mark Hampshire, Mini Moderns is an interiors brand specialising in applied pattern across a range of products including wallpapers, fabrics, cushions, rugs and ceramics. The initial collection was snapped up by Heal’s and our brand continues to go from strength to strength, selling online and via selected stockists around the world. Our design influences range from mid-century British textiles to vintage toys, from literature to childhood memories. Travel also influences our work – and much of our inspiration comes from holidays and field trips, both at home and abroad. MADE IN THE UK BY NICE PEOPLE. At Mini Moderns we like to produce in the UK whenever possible. All our wallpapers, fabrics, cushions, tea towels and bags are made in the UK by people with whom we’ve developed long-standing relationships. Producing in the UK also helps to keep our carbon footprint down, by minimising the number of journeys a product makes before it gets to you.